As part of Wellspring’s family programming, Birmingham Gilgan House offers Paeds and Parents programs for children living with cancer and their families. In addition to a monthly support group, Wellspring hosts several Paeds and Parents special events each year to create a welcoming and meaningful outing for the whole family and helping children living with cancer and their families’ network with other families in similar situations. With the help of Centre staff, a dedicated group of hardworking volunteers make up the Paeds and Parents committee. The group meets on a monthly basis and gives countless hours in planning and executing successful events. The committee comes up with new themes, crafts, games and activities that provide therapeutic and fun opportunities for the children and their families. Many have served on the committee for years and also volunteer in other capacities at the centre. 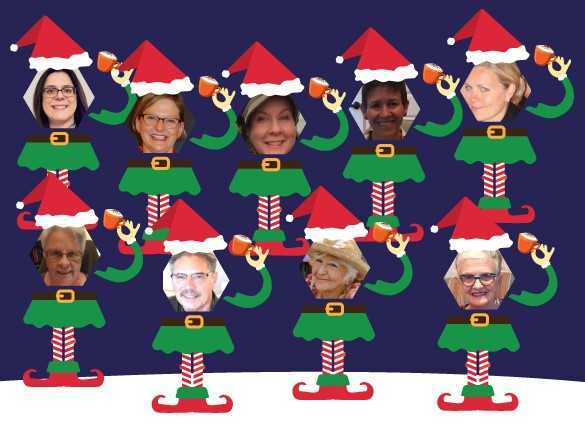 Currently, the committee is in the process of getting ready for the elf-themed holiday party on Saturday December 9 from 11 a.m. – 2 p.m.